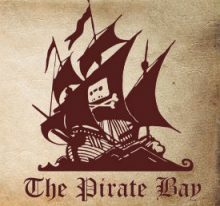 The Pirate Bay and dozens of other pirate sites that were blocked by Cogent's Internet backbone are now accessible again. Cloudflare appears to have moved the sites in question to a new pair of IP-addresses, effectively bypassing Cogent's blackhole. Whether Cogent has plans to block their new home as well is unknown. As a result of this action, people from all over the world were unable to get to their favorite download or streaming portals. The blocking intervention is quite controversial, not least because the IP-addresses in question don’t belong to the sites themselves, but to the popular CDN provider Cloudflare. While Cloudflare hasn’t publicly commented on the issue yet, it now appears to have taken countermeasures. A little while ago the company moved The Pirate Bay and many other sites such as Primewire, Popcorn-Time.se, and Torrentz.cd to a new set of IP-addresses. As of yesterday, the sites in question have been assigned the IP-addresses 104.31.16.3 and 104.31.17.3, still grouped together. Most, if not all of the sites, are blocked by court order in the UK so this is presumably done to prevent ISP overblocking of ‘regular’ Cloudflare subscribers. Since Cogent hasn’t blackholed the new addresses, yet, the sites are freely accessible on their network once again. At the same time, the old Cloudflare IP-addresses remain blocked. TorrentFreak spoke to the operator of one of the sites involved who said that he made no changes on his end. Cloudflare didn’t alert the site owner about the issue either. We contacted Cloudflare yesterday asking for a comment of the situation, but a company could not give an official response at the time. The next question that comes to mind is will Cogent respond, and if so, how? Or has the underlying issue perhaps been resolved in another way? If their original blockade was meant to block one or more of the sites involved, will they then also block the new IP-addresses? Only time will tell.